Finding the right book in a large library can be intimidating. 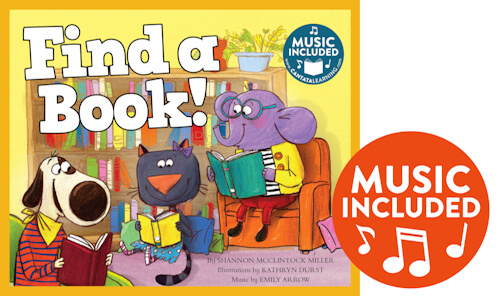 But tips from a friendly librarian, along with catchy lyrics and colorful illustrations, present basic library search functions in a simple, kid-friendly manner. This hardcover book comes with online music access.